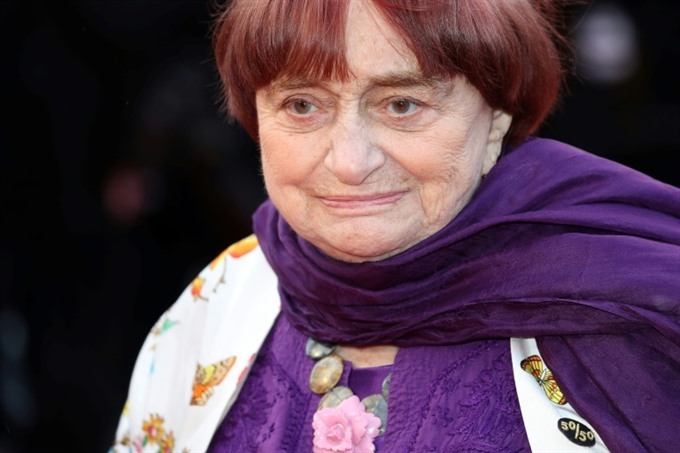 PARIS — Feminism should be taught in schools, said the French film legend Agnes Varda, who has become an icon for the #MeToo and Time’s Up movements demanding equality in the film industry. Varda, 90, who was nominated for an Oscar this year for her documentary Faces Places after winning an honorary one in 2017, said activism had to start in schools. "Feminism is not active enough in schools and colleges, and sexual education has flatlined," the veteran director told a Women in Motion gathering in Paris on Tuesday organised by the fashion conglomerate Kering. "We do not talk enough about it to young men and women," she added. "We have to continue the fight. We thought in the 1960s that things would change quickly. But clearly, that has not been the case." Varda, the only female director who emerged from the French New Wave that rewrote the rules of cinema in the 1960s, has become an icon for many women in the industry. She helped lead a protest by Hollywood stars and female directors on the red carpet at the Cannes film festival in May to demand equal pay for women and "a safe workplace" in the wake of the Harvey Weinstein scandal that rocked the industry. "The problem goes way beyond the film industry," said Varda, who made her name with such arthouse classics as Cleo de 5 a 7 (Cleo from 5 to 7), Vagabond and The Gleaners & I, which the BBC listed as one of the best films of the 21st century so far. The director was married to the great French auteur Jacques Demy, whose final weeks before his death from AIDS she immortalised in her 1991 film Jacquot de Nantes. Varda, known for her distinctive two-tone bowl haircut, pioneered a documentary style that weaved real life and fiction, often featuring herself as an unreliable narrator. She told the talk that she always "likes putting real people in the limelight. "Reality inspires me. I get a kick out of showing the lives of people who are completely unknown in a world where entire pages of advertising are dedicated to cosmetics and fashion," said the Belgium-born film-maker.